Several months ago I began sharing ideas, tips, tricks and recipes on the Family Economics Blog at SCJohnson.com. Last week I had the opportunity to visit the SCJohnson Headquarters in Racine, WI. Tyler and I met up with Andrea from Savings Lifestyle (far left) at 4:30 in the morning. We flew to Wisconsin, where we met up with Cathe from Just Something I Made (far right) and Trisha from 24/7 Moms (next to Tyler). After a round of pastries and coffee, we spent the morning getting to know each other, getting to know the team from SCJ, and getting to learn more about the history and vision for the Family Economics blog. After a tour of the facilities and a fabulous lunch in their ultra modern lunchroom (complete with Ziploc to-go boxes! ), we headed back to our meeting room to have a power brainstorming session. 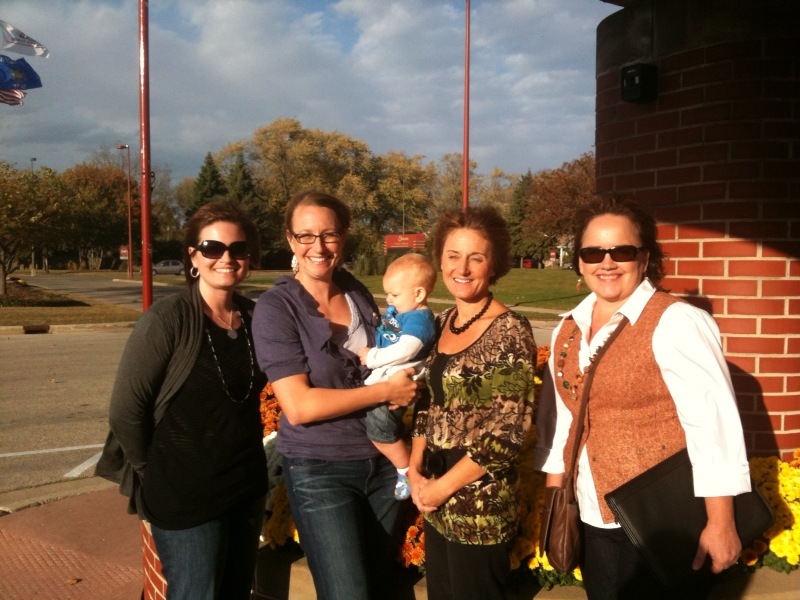 We conversation centered around the content on the Family Economics blog. 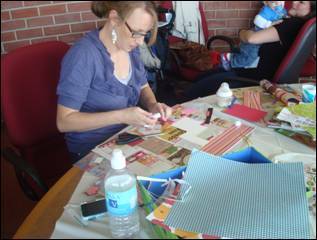 During our discussion, we were challenged with making a vision board for our respective sections of the blog. I am in charge of content for the Food for Thought section of Family Economics. Seeing as how I blog about food every day, the vision board was fun to create. It spurred my creativity, helped me focus on the kind of content and articles I want to bring to Family Economics, and it led me to define the goals I have for myself as a freelance writer. 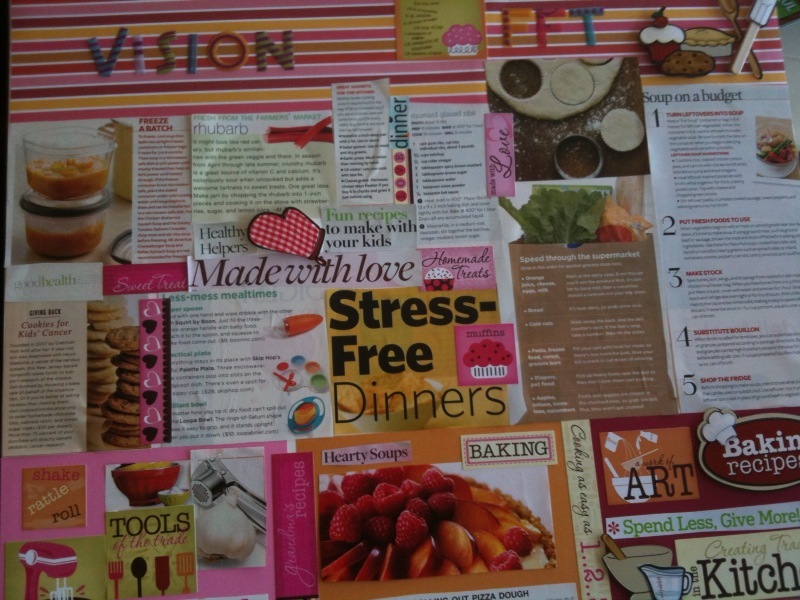 Have you ever created a vision board for a project you are working on?! How did you find it helped you as you worked on the project?! Disclosure: My trip was provided. I am a paid freelance writer for SCJohnson.com. I did not have to share about my experience. I just thought you might find it valuable in your business or enterprenuerial endeavors. So fun to get a peek inside! but silly me, I never thought to create a blog vision board. I’m on that now. Is there a savvy blogging article about that? I hope you had a great time in our neck of the woods. I really like vision boards. It really helps to crystalize your direction. I also like the ideas of quarterly planning. I need to implement that!